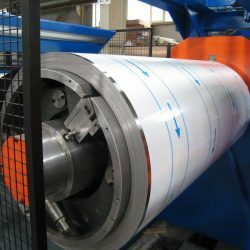 A basic slitting and recoiling line is composed by: decoiler, slitting group, braking unit and recoiler. 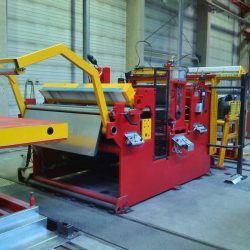 The slitting and recoiling lines and the combined lines can contain the SPECIAL AUTOMATIC POSITIONING SLITTER (“multiple slitter”), which is available in many models. 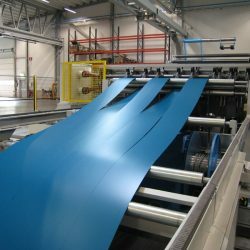 Cut-to-length blanking lines, for the decoiling, straightening and transversal cut of sheet-metal coils up to 4 mm. 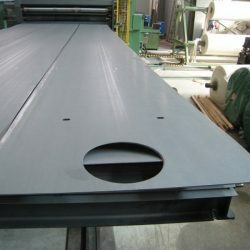 They are suitable to obtain one large sheets or many small blanks a time. 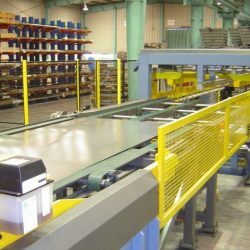 Combined cut-to-length and recoiling lines, that decoil, straighten, cut and recoil various kinds of sheet metal. 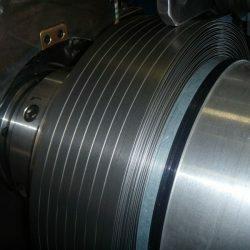 They are suitable for coils of sheet-metal of any kind and with max thickness 4 mm. Here are the latest news from our Research and Development department.